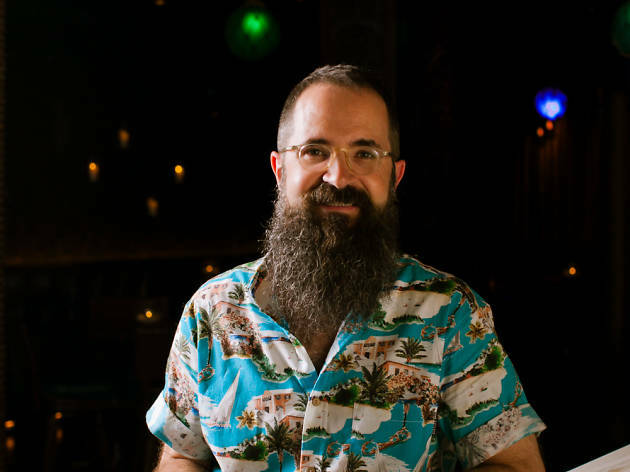 Bartender Paul McGee, whom we last saw at Three Dots and a Dash, has announced his new project—a tiki bar, Lost Lake, which will be opening mid-January in Logan Square at Diversey and Kedzie. The name Lost Lake is from a friend of McGee’s, who named an old tiki drink he made at the Whistler for a place she had been to in Oregon. “I loved the name of the drink and it stuck in my head as a cool name for a bar,” he says. “Here we are on the Third Coast and there’s this big body of water, and it also seemed to be a place you stumble across. This is something with no lights out front and it's much more subtle. I tweaked the recipe for this spot and it will be our signature cocktail." Here are five more things to know about the tiki bar. It’s part of Land & Sea Dept., the group behind Longman & Eagle and Parson’s Chicken & Fish. McGee left Three Dots and a Dash in early December to join Land & Sea Dept., and he won’t just be doing this new bar. He’s already at work on an upcoming spot at in the former Chicago Athletic Association building as well as a second bar project on California Avenue in Logan Square. Expect a mix of classic and nouveau tiki drinks. The drink list will have about 16 cocktails, 12 regular-sized drinks for $12 and four large-format drinks for sharing, which will range from $25-$45. “The menu will change a little more frequently than at Three Dots and the actual drinks themselves will be a little bit weirder,” McGee says. “There are some more out-there drinks on the menu.” Some of McGee’s signature drinks from Three Dots will make the trip to Lost Lake. Another drink will incorporate Gardenia Mix (butter, honey and spices), which McGee used in the Pearl Diver on the Three Dots menu; here, it will be used to fat-wash the rum and infuse the flavors into it without actually shaking up a drink with butter. Plus, expect tiki mugs and elaborate garnishes, just like at Three Dots. And for non-tiki drinks, McGee says there will be a brown and stirred cocktail on the menu as well as three beers, plus a rotating series of beers Lost Lake will be brewing with Marz Brewing. Lost Lake is located next to a new Chinese takeout–inspired spot, Thank You. When you’ve had a few too many tiki drinks, head next door to the sister restaurant, helmed by Gabriel Freeman (Ruxbin, Mott Street). Thank You will serve Chinese dishes for take-out, delivery and to bring next door to Lost Lake. McGee says there will also be interesting nonalcoholic sodas at Thank You. The space will be decked out in tiki décor. Land & Sea’s restaurants have a distinctive design (think about all the design elements at Parson’s) and Lost Lake is no exception. “There’s wallpaper with big palm leaves on it, which will be prominent in the space, then lots of bamboo,” McGee says. “It’s more 1930s tiki than 1960s tiki.” Lost Lake will have seating for 55, which includes 19 bar seats, and standing room for 20. Plus, it won’t matter if you sit at a table or bar—McGee and other staffers, who include former Three Dots bartender Erin Hayes—will split time between the bar and serving tables. “I thought there was a perception that you get a different experience at the bar versus a table, and I wanted to make sure there were no holes, and that you get the same experience at the table and bar," McGee says. Another tiki legend is also involved. 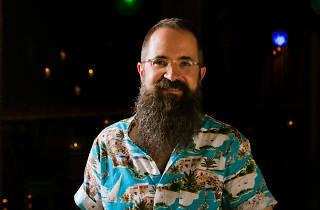 Martin Cate, of San Francisco tiki bar Smuggler’s Cove, is also an investor in Lost Lake. He’ll be running a rum club, which will have different tiers of rums that budding rum nerds can drink through. “Of course you can always order any rum you want, but it will help you attain a base level of knowledge and then you graduate to the next step,” McGee says.